Notwithstanding criticism, Rajkumar Hirani’s Sanju – the biopic that gives a peek into the tumultuous life of Sanjay Dutt, is unstoppable. The Ranbir Kapoor-starrer is having a dream run and the film is about to touch Rs 300 crore at the box office. But if one looks at Dutt’s career spanning over 35 years, ironically, no solo Dutt-starrer had ever seen this kind of success until Hirani gave him the blockbuster sequel to his Munna Bhai MBBS, the ever popular Lage Raho Munna Bhai, which had reinvented Sanjay Dutt. Yes, a Vidhaata (1982) with Dilip Kumar in the title role and a Saajan (1991) with Salman Khan at his peak were huge blockbusters but his solo successes like Vaastav (1999) were limited to the Maharashtra belt while a Khalnayak after the huge hype (Dutt was arrested a few weeks before its release in June, 1993) had not turned into a record-breaking success, losing the box office race to David Dhawan–directed, Govinda-starrer rib-tickling comedy, Aankhen. Another solo success of Dutt, Mahesh Bhatt’s Sadak (1991) had also failed to be the top hit of the year. Over 10 years later, it was Munna Bhai MBBS that reinvented Dutt’s screen image and its sequel three years later redefined his box office power. Sadly, he has not been able to follow it up with another solo blockbuster as his comeback after his jail term – Bhoomi (2017) – failed at the box office. But what looks positive is the impressive line-up of films that will keep Dutt busy for the next many months, and that includes Karan Johar’s Abhishek Varman-directed Kalank (with Varun Dhawan, Alia Bhatt, Sonakshi Sinha, Aditya Roy Kapur and Madhuri Dixit); Yash Raj Films and Karan Malhotra’s Shamshera (with Ranbir Kapoor); Ashutosh Gowariker’s Panipat (with Arjun Kapoor and Kriti Sanon); Prasthaanam (Hindi remake of Deva Katta’s Telugu cult classic). And two of his releases that will see him as a solo hero – Tigmanshu Dhulia’s Saheb Biwi Aur Gangster 3 and Girish Malik’s Torbaaz are expected to hit the screens this year. Will the Sanju effect attract the audience to theatres and boost Dutt's films’ business at the box office? “Sanju should have a good impact (on his forthcoming films). And for any actor, it’s the choice of films that impacts their career,” says Sanjay Gupta, who has collaborated with Dutt on several films like Aatish, Khauff, Kaante, Zinda, Dus Kahaniyaan and Shootout at Lokhandwala among others. Incidentally, Gupta, who has not seen Sanju yet, was not in favour of the biopic being made on his actor-friend as he felt that Dutt was still around and will be coming back to films as a hero. Subhash Ghai, who helmed Khalnayak, agrees with Gupta partially. “Maybe the perception about Sanjay’s personal life will change in people’s mind after watching the biopic but otherwise people don’t get influenced by an actor’s personal life when it comes to watching their movies. They only go by good script, good direction and good performance. Khalnayak was super hit even as he was charged and arrested then. 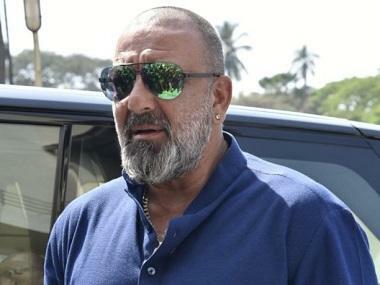 Sanjay is a popular star and has been a good actor from the beginning so whenever he has got a good script like Khalnayak or Munna Bhai, he has excelled,” says Ghai, and he immediately adds, “Even Ranbir, who has done a fantastic job in Sanju, was slipping in his career and the moment he got a good script, a good director and a good character, he has shone again.” For Ranbir, who had not had a big hit for a long time, Sanju’s huge success must have definitely come as a big relief to him as the film is not only believed to be his best but it is also the biggest opener of his decade-long career. Ghai, who describes the current phase of Dutt as “happy and much calmer”, plans to make a film with the actor but does not divulge any details. “We will announce at the right time,” he merely says. Akshay Rathi, film exhibitor and distributor, feels that the Sanju factor can only play a small role in deciding the fate of Dutt's future films. “The only advantage Sanjay Dutt as an actor will get now is that lot of people will relate to the man as they know him a lot better as a person compared to what they probably did,” says Rathi. Rathi further analyses, “Sanjay Dutt has been around for over 30 years and some of his films were absolutely iconic, like Vaastav, Munnabhai, Khalnayak, Saajan… and here comes a young Kartik Aaryan with hardly any background in films and he gives a Rs 100 crore hit with Sonu Ke Titu Ki Sweety. So all that matters is the merit of the film. The Sanju factor can only play a small role. So ultimately, the films in which he features have to be entertainers and has to be engaging enough to the audience to work at the box office. 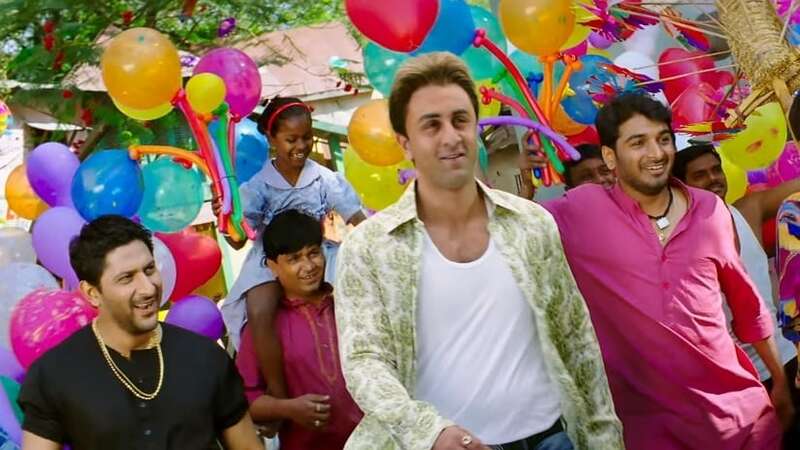 "The success of Sanju, while a triumph for Raju Hirani and Ranbir's brilliance, is also a testament to the love people feel for Sanjay Dutt," adds writer-director Milap Zaveri. However, both Tigmanshu Dhulia and Girish Malik, who have Dutt in their films as a solo hero, are upbeat about the roaring success of the biopic. “Sanju will have a positive impact on our film. 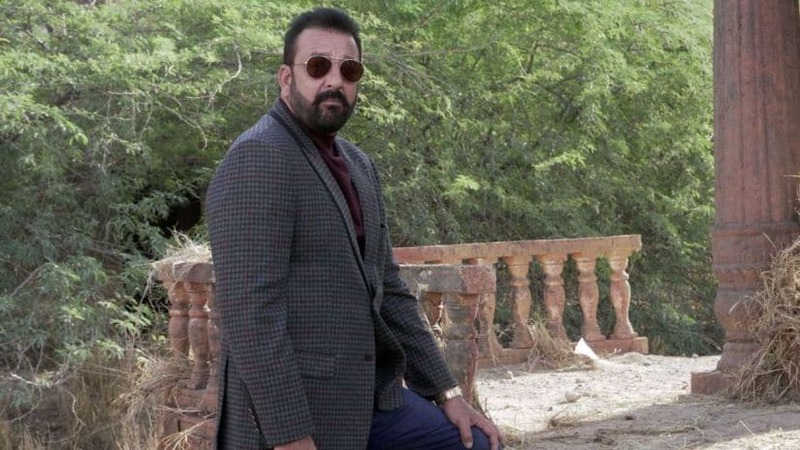 Many people have got to know about Sanjay Dutt’s real life through the biopic and they are very sympathetic towards him,” says Dhulia, whose third instalment of Saheb Biwi Aur Gangster releases on 27 July. “Sanjay belongs to the old school and the positives of old school is that they completely surrender to the director unlike today’s actors who, after every shot, want to check the monitor. Sanjay has full faith in his director, he has never bothered me and has always been on time for shoots. Many of his films have done great business, like Saajan, Vaastav, Kurukshetra, Munna Bhai. Earlier, we didn’t have the concept of 100 crore or 200 crore, we didn’t have multiplexes so we can't quantify the success of his films. He was always an asset. His career looks good,” the director adds. Malik says that after watching some “mesmerising old visuals” of Dutt in Sanju, people’s interest and curiosity in the actor has increased many folds. “Sanjay has always bounced back, he has come back with some surprise, whether it’s Vaastav, Munna Bhai or Sanju, and Torbaaz (about the child suicide bombers of Afghanistan) will also show him in a new avatar. It is a very shocking film. Though every film has its own fate, I was always excited about Torbaaz but post Sanju, I am more excited. Also, just like his life, my film is also about reforming after going through turmoil and thus, I have an edge because people saw that in Sanju. As it is, people got connected to his life and when they see a film like Torbaaz, it will have a greater impact,” says Malik. Also, many industry insiders and Dutt’s close friends feel that he has made an intelligent transition at this phase of his career. “Sanjay should play his age and not the leading hero, and he will do well,” says Vaastav director Mahesh Manjrekar. Adds Zaveri, "Sanjay is now in a phase where he is doing roles suiting his age, but he will always be powerful in whatever he does. He is beyond the box office. He's a true rockstar." “Sanjay is touching 60 and every star, whether it was Dev Anand, Raj Kapoor, Dilip Kumar or Mr Bachchan, they reach the phase when they can’t be the leading man after which they have to bow out of that position and be a character actor or supporting cast. The living example is Rishi Kapoor who is now doing some phenomenal characters. Sanjay Dutt’s also doing that at the right time rather than dragging over and trying to be the leading star and failing to draw the audience," sums up Rathi.